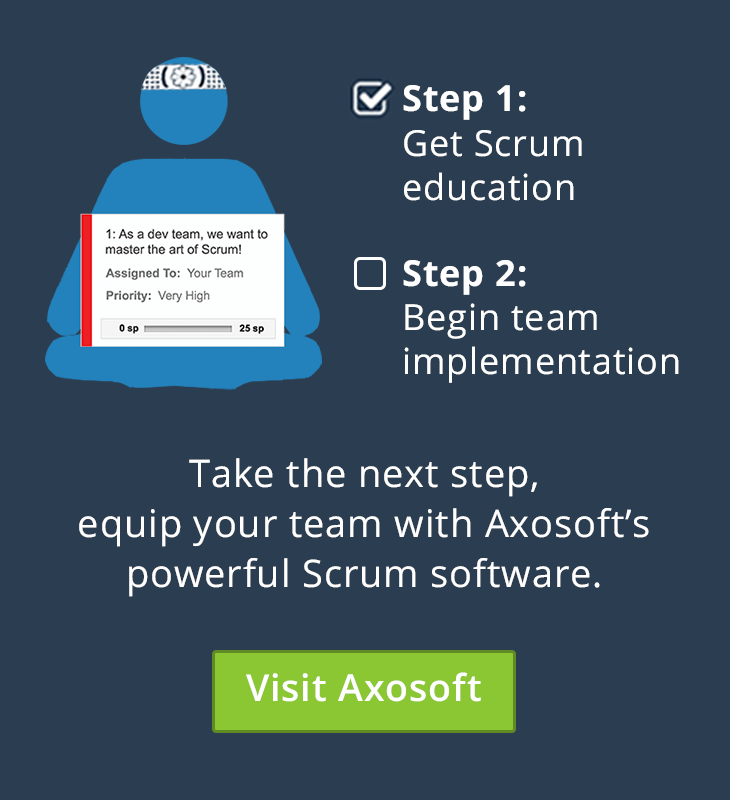 The Daily Scrum can be one of the most frustrating activities in a development team’s day. Although this brief standup is meant to give everyone a quick overview of each team member’s activities, it can often spiral into the long-winded meetings we all despise. So how can we reclaim the simplicity of our daily anti-meeting? These solutions to the most common problems will get you on your way. What do you call it when a bunch of people leave their desks to gather in a room and talk about something? Yes, you’re gut instinct is right, it’s called a meeting, not a standup (even though your Scrum master makes everyone physically stand up). The goal of a daily standup or scrum is to maximize efficiency and eliminating the time it takes your team to meander down the hall and grab another cup of coffee is a great way to do this. This poses a new question: If the standup shouldn’t be held in a conference room where should the team gather? Well why not in the space they’re already utilizing! As we’ve discussed in previous posts, an ideal development team works together in one room to get all the creative juices flowing together. This environment is also the most effective place to conduct the standup even if the Scrum master has to *gasp* come to them. Imagine you’re changing the oil in your car, you’re wedged underneath the engine, elbow deep in the bowels of the vehicle just getting ready to pull out the oil filter (try to imagine if you’ve never actually done this before). Now imagine you have to drop everything, walk away from the car altogether to tell everyone about your progress on the oil change. Now you get to ease yourself back under the car, wedge your arm back up to the oil filter and start over again. If this were a daily thing then I’d start to get annoyed as well. Ideally the standup should happen first thing in the morning and before anyone starts in on their tasks for the day. In practice this doesn’t always work since developers may come in at different times. Try to make the standup as early as possible before any serious work gets started. If an important stakeholder, Product Owner or anyone other than a team-member isn’t there then they’ll miss it. “I fixed that date/time conversion bug yesterday, and I was gonna grab that sorting speed task today.” “Ran into an issue with the search sproc yesterday, it was only returning a max of 400 results, got that sorted out and I’ll be finishing up the search task for the user admin page today.” Now imagine that happening for every team member on a 7 person team. The standup goes pretty quick doesn’t it? The only time the meeting should go long is if somebody has a very interesting problem at which point the developers may spend some time discussing it. The standup should be either very short or very interesting but not boring. If it is boring, it’s your fault (as the Scrum Master) for not educating the team in how to use this time. 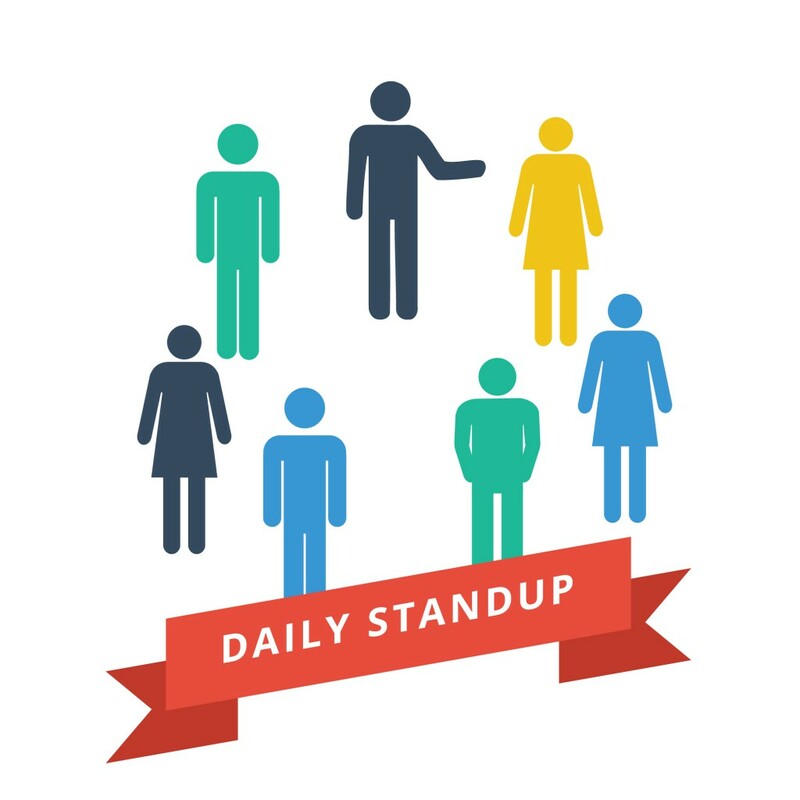 Bottom Line: The daily stand-up is a major part of building a great Scrum team provided you don’t screw it up by turning it into another corporate event. The stand-up centers around the Scrum team and nothing else. It’s small amount of time (emphasis on the small) for the Scrum team to center in on their progress, goals and issues that are important to them. Anything else you do during the stand-up amounts to overhead. From there a team can go around the room chatting about progress and problems and everyone gets back to work within 10-15 minutes unless something really interesting comes up.